Hi! 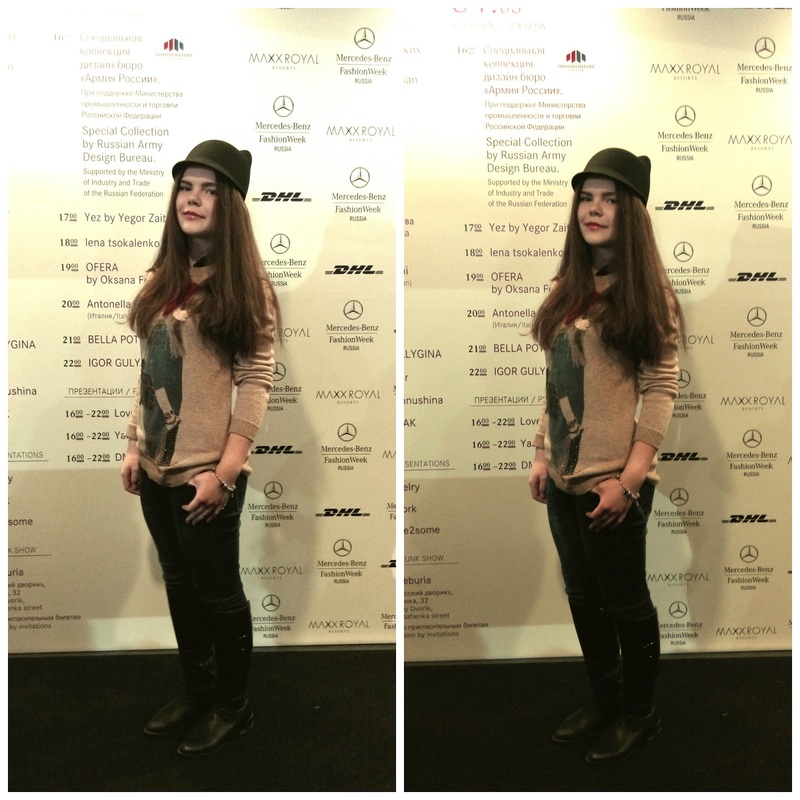 Let's talk about day 4 at Mercedez-Benz Fashion week Russia! Yes, I skipped day 3 because I went back home from Moscow (it was Sunday). 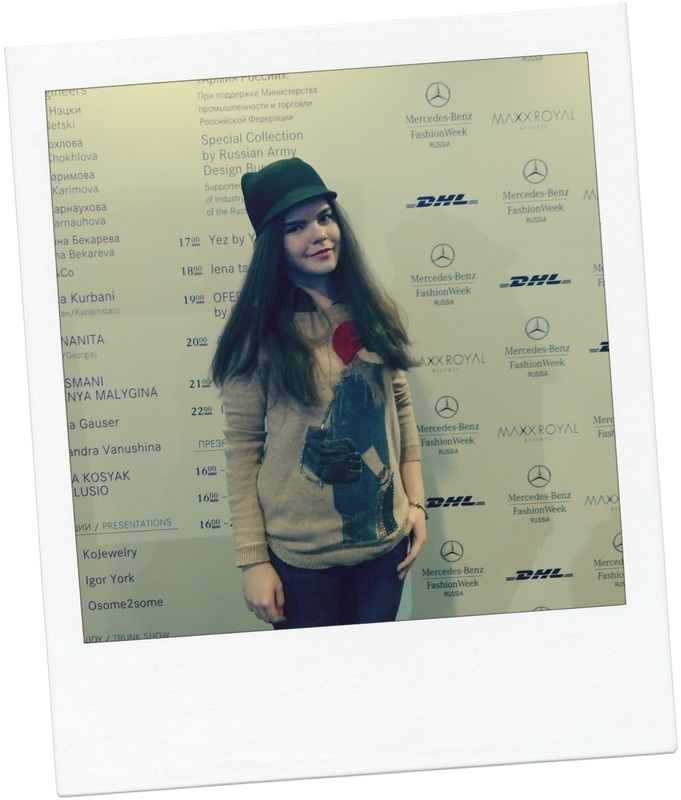 But on Monday I was ready to see the new collection of Alexandra Vanushina. Want to know my opinion? I liked it first but now I think it was too basic. There was a lot of monochrome colors. Maybe its cool on its own way but I think basics and stylish pieces should be mixed. 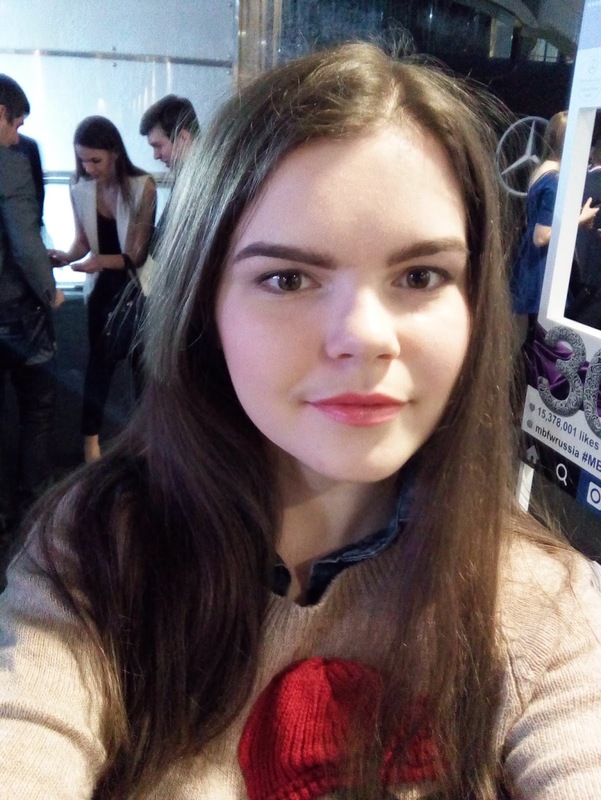 Although I can say that hairstyles on models were fun and the colors of collection were bright enough for autumn/winter (yep, we are talking about autumn/winter collection). The third day wasn't as exciting as first day, for sure. But you know I always love this atmosphere on a fashion show. You are like dipping into another world for 10 minutes and all the parts of a fashion show (music, background, runway, audience) seem charming and magic. I had planned to put on my floral dress but the weather obviously had its own plans. It was windy and snowy and ridiculously cold. So, I had to put on a sweater with a pair of jeans. On the picture you can see a hat, I borrowed it from my friend Julia for a minute and I liked it on me. I think it looks cheeky, doesn't it? Well, this season was way better than previous one last year. Russian designers show more interesting and unique shows every year and I'm really glad about that. 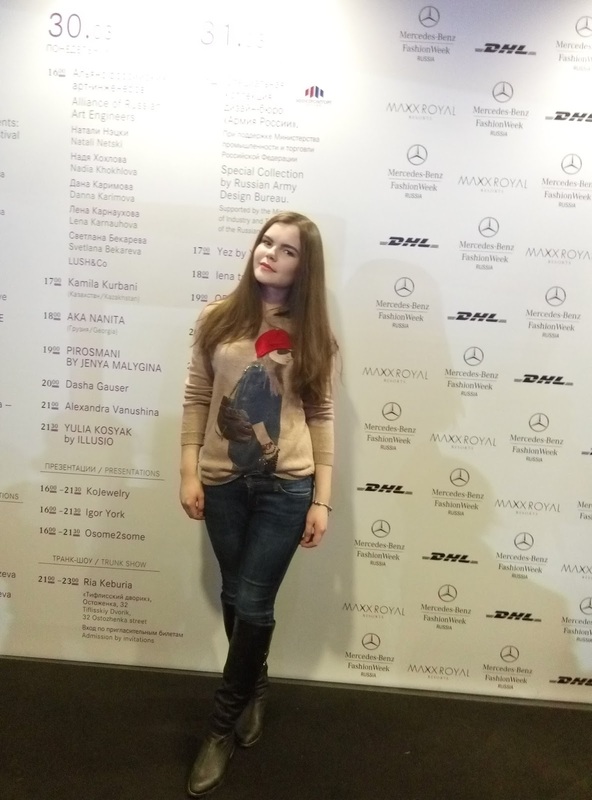 Every season of Mercedez-Benz Fashion Week Russia is like a journey for me. It is always amazing and never boring! 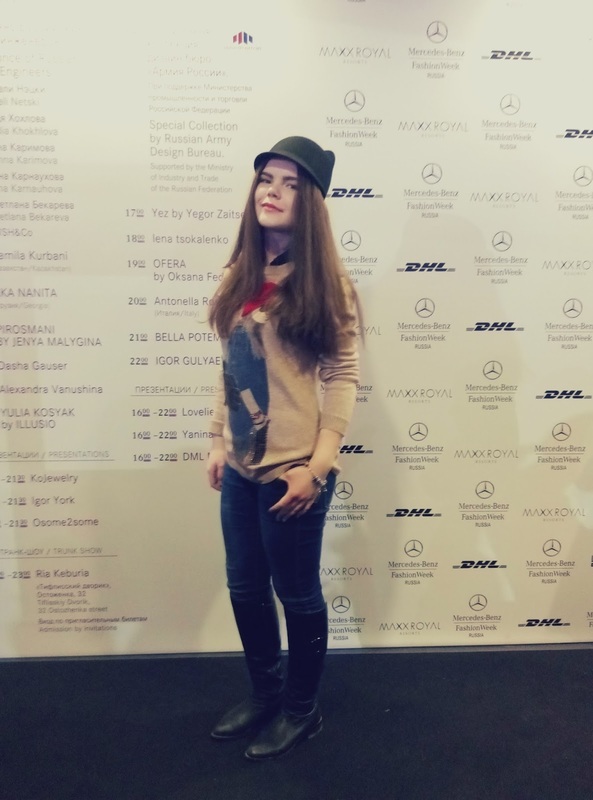 Anyway, I was happy to put you through my experience at Mercedez-Benz Fashion Week Russia 2015. I can't wait to tell you about my further discoveries here in Moscow! Stay tuned and follow me on Instagram!